Benjamin Thigpen, nomad, born in the United States, with degrees in English Literature, Comparative Literature, and Esthetics, Technologies and Artistic Creations, immigrated to Paris at the age of 31. Since then, he has composed at GRM (Paris), Musiques et Recherches (Belgium), SCRIME (Bordeaux), EMS (Stockholm), the Visby International Centre for Composers (Sweden), STEIM (Amsterdam), Djerassi (California), l’Espace Totem (Montréal), in his bedroom and in the train. 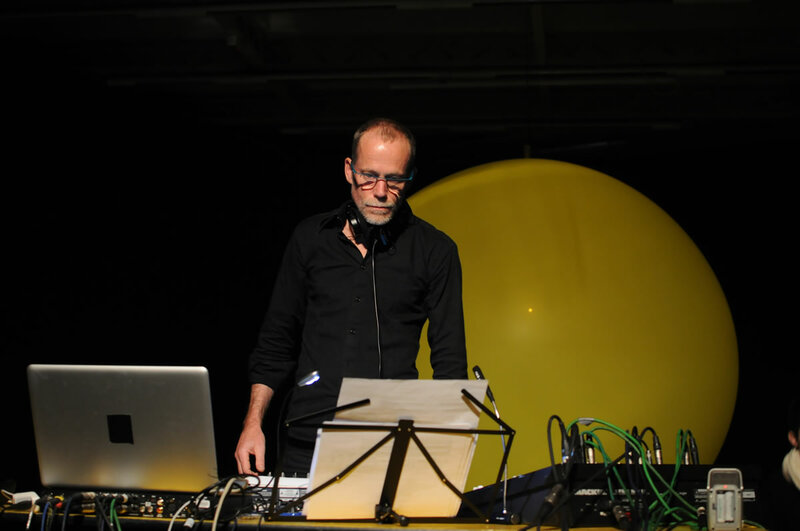 After six years teaching computer music at Ircam (Paris), followed by a brief period at the University of Washington (Seattle), he currently teaches at the Conservatory of Cuneo (Italy) and at the Royal Conservatory of Mons (Belgium). His music is concerned with issues of energy, density, complexity, movement, simultaneity and violence; he considers that music is not the art of sound but the art of the transcendence of sound.